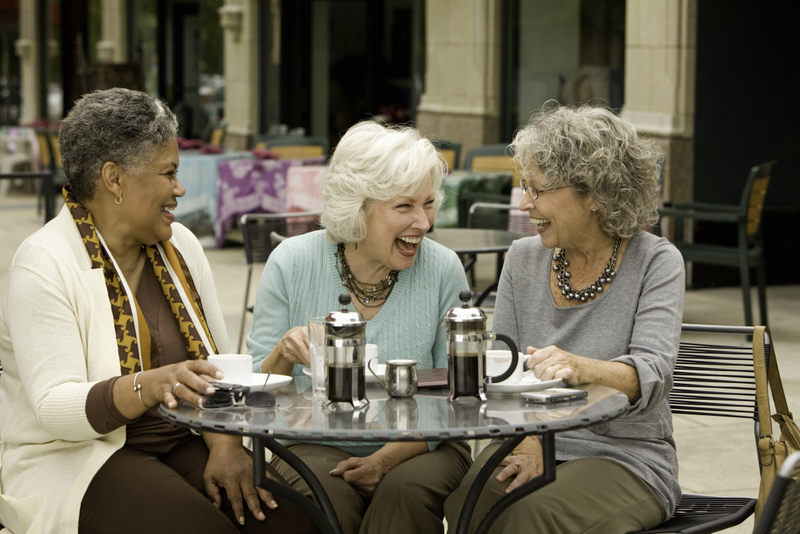 Every week or so, a few of the “adult girls” in our neighborhood get together for coffee and conversation at a local café. I join them when I’m not having a pajama day. In other words, a day when I don’t bother getting out of my pajamas because I’m too busy writing to take the time. The topics of our discussions vary: our kids, our grandkids, our crazy relatives, fashion trends, hairdos, travel, and more. In order to preserve their identities and their privacy, I have truncated the names of our grown-up gossip girls to the first letter of their first names. M__ had us in stitches when she described her experience with adult leggings she bought at a LulaRoe comfort fashions home party. She bought a pair of stretchy leggings that had a “cute little pattern.” When she tried them on at home, she was in for a surprise. Yes, they were very comfortable, but as M__ explained to us: “Do you know what happens to a cute little pattern when you stretch it over your legs? It becomes a great big not so cute anymore pattern.” M__ is a tiny little gal. The bold pattern on her short little legs wasn’t the most flattering look for her. Then M__ told us about an experience at a craft fair. A woman at one of the vendor tables said to her, “You are beautiful.” M__ was extremely flattered—until the woman added, “I love wrinkles.” We laughed so hard we almost choked on the red, white, and blue smoothies we ordered instead of coffee. We segued from M__’s wrinkles to M__’s hair color, namely pure white. We agreed she was fortunate. On some women, the white hair has a yellow tinge to it. I remembered that my grandmother used to use a blue rinse on her hair to hide the yellow. J__ said that some young women today were actually coloring their hair gray, a recent fad. She knew of one person who ordered a special shampoo from Italy that contained silver, an ingredient that gave her hair silver highlights. J__, the youngest of the four of us, still colors her hair. M__, R__, and I have gone natural. 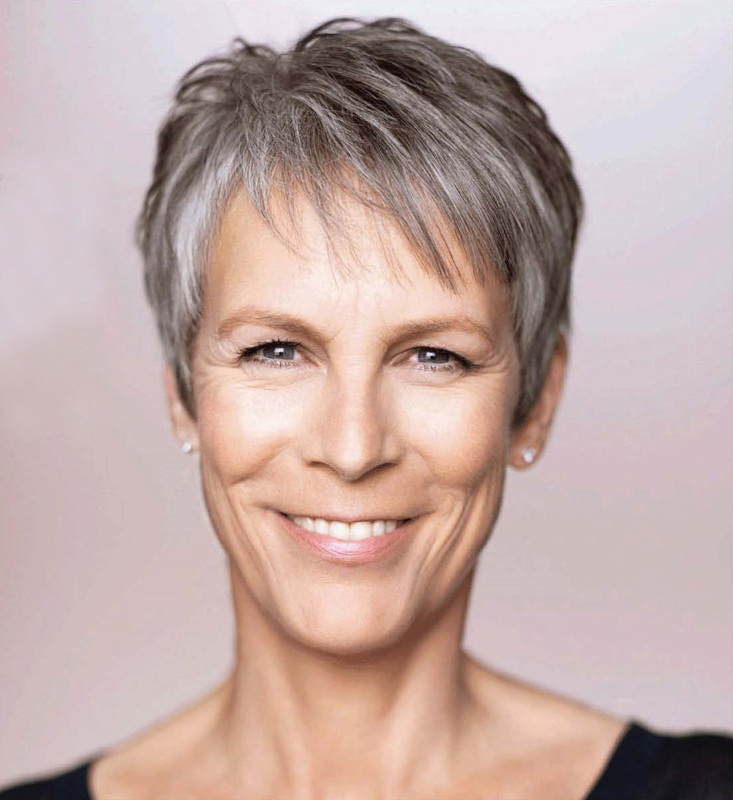 I mentioned that I was inclined to let my hair go gray after seeing Jaime Lee Curtis pose for a magazine in her underwear and without her hair dyed. I thought that took guts. I eventually decided to let the gray grow out when I received the colon cancer diagnosis. [I had a surgical cure and am still cancer free.] It occurred to me then that I might not have that much time left on this Earth, and I was wasting a lot of precious time sitting in a salon for hours with goop on my hair when I could be doing something infinitely more interesting and fulfilling. I told the girls that I received more compliments on my hair—with its natural highlights—once I went salt and pepper gray than when I was doing the dye and highlights routine. Go figure. We hashed over some neighborhood news that would probably bore you to tears, and then it was time to leave. In the parking lot, J__ tried to break into someone’s car. 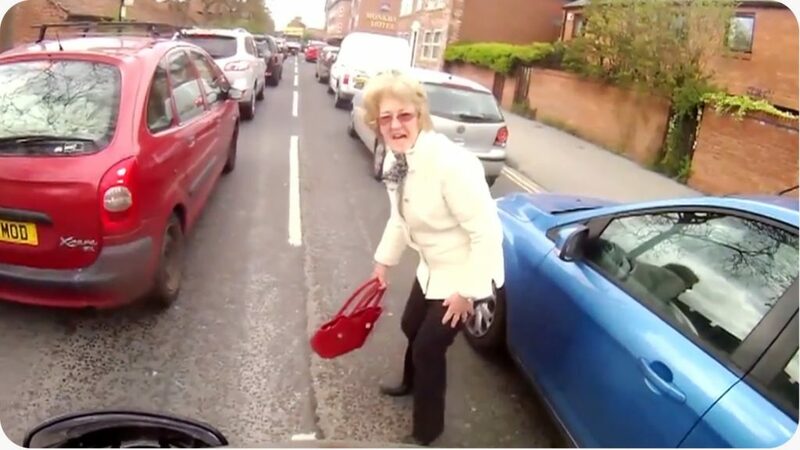 Well, she didn’t exactly try to break in. She just thought it was hers. It was the same color and style, and they all look so much alike these days. It was a natural mistake, and J__ is still a little too young for The Home. Nevertheless, I’ll keep an eye on her when we adult girls go out again next week—just in case.